After last year's humiliating data hack of Sony Pictures Entertainment saw terabytes of the company's data stolen and splashed all over the internet, shares in the company immediately fell by 4.9 per cent. Could your company survive a similar attack? With our workspaces being revolutionised by digital technology, the headache of security for both hardware and the precious data within can be a nightmare. Manufacturers can make all manner of claims when it comes to security and durability, but no system or item of hardware is truly safe. However, the more sophisticated the system, the less likely it is to be compromised. Here's how to conduct your business like a government intelligence agency to ensure you keep your hardware and data secure. 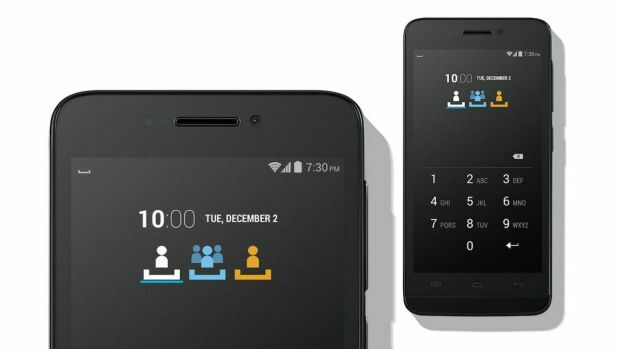 A smartphone James Bond would be proud of, a Blackphone offers an unprecedented level of security for all voice and data services. All content on your handset is encrypted and password protected, with voice and data services handled by an encryption service accessed anywhere in the world. Price: US$629. With military grade encryption available on both PC and Mac, and a smart chip security option, the SPYRUS Worksafe Pro 'Windows To Go' drive is perfect for law enforcement, IT security staff or just those who share computers. Offering a fully-functioning version of Windows 8.1, this USB 3.0 drive boots the operating system without needing to access the computer's hard drive. Price: US$142. 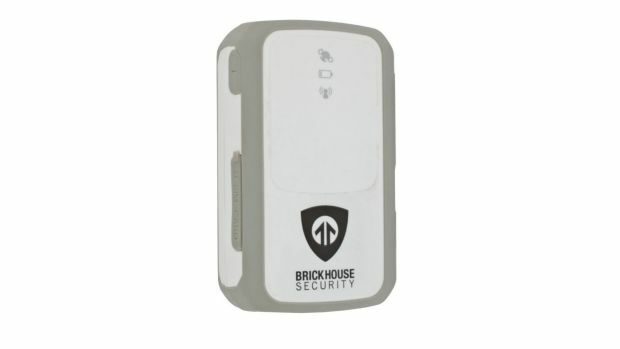 Keep track of vehicles, important hardware or baggage, or even personnel with this small GPS tracker from BrickHouse Security. Monitor movements 24/7 from any internet-connected smartphone or computer, as well as receive alerts on out-of-boundary or speed triggers. Price: US$150. Using an open WiFi network outside the safety of your office network is a risk. Freeware disk encryption tool VeraCrypt keeps your system secure in the event of a network attack, like a Firewall breach, by encrypting the entire contents of your hard drive. Working files can be copied to encrypted 'containers,' which act like mounted drives on your desktop. 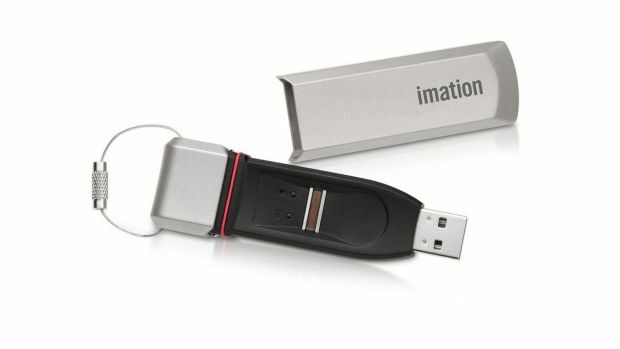 You can also encrypt USB flash drives to protect data in transit. Price: Free. TOR is now a well-known network of secure anonymous servers spread around the world, which is used by the TOR browser to offer anonymous and surveillance-proof internet use. Websites you visit using TOR cannot be tracked by a snooping third party, nor can those websites determine where you are located. An invaluable tool for the business traveller who travels to countries with strict internet controls. Price: Free. 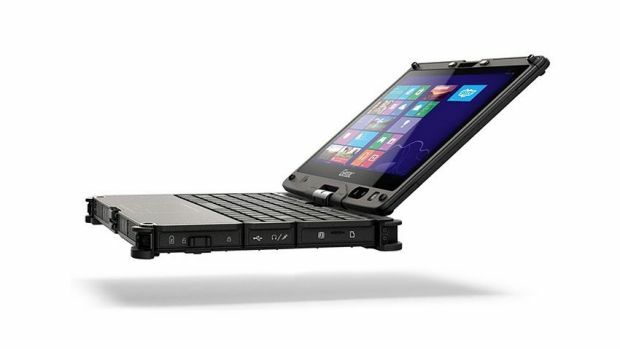 The V110 laptop is the latest lightweight rugged laptop from Getac, guaranteed to withstand the kind of punishment the majority of laptops could not. Built to military specifications, it features a magnesium alloy shell with rubberised polymer on impact points, a Gorilla Glass swivel screen, two swapable batteries, and can withstand temperature and moisture extremes in any environment. Price: $5000. The operating system Edward Snowden used to secure his digital existence, TAILS is a self-contained OS that can boot from most media sources: DVD, USB drive or SD card. Simply boot your computer from the external device and leave no trace of your usage, with all internet traffic – including email and messaging - encrypted, untraceable and anonymous. TAILS can also be used to circumvent local internet restrictions, allowing access to blocked websites. Price: Free. Nothing says security like a fingerprint scanner. A quick swipe of your finger unlocks encrypted content on the IronKey biometric USB flash drive, which prevents unauthorised access to all but the registered user. Usage history can be logged for auditing later, and security levels can be tailored to suit behaviour and usage. Price: $250. If you'd prefer not to use freeware for anonymous and encrypted internet use, a paid VPN (Virtual Private Network) service like Private Internet Access is the answer. One of the most trusted VPN services available, this privacy tool offers IP cloaking to prevent monitoring of your browsing history and location, data protection via a number of military-grade encryption protocols, and free access to locally restricted services where blocking may be in force, like Skype, social media and messaging services. Price: US$6.95/mth.